That’s right. I finally got what I’ve been waiting for: a one star review. Yes! You read that correctly! I finally got what solidify’s me as a writer. Isn’t this what all writers get? To be honest, I was born with a tough skin, so this doesn’t really bother me. Besides, everything that this reviewer said is stuff that I’ve realized on my own, and took the steps to improve myself in the next installments of The Runners. I think we can all agree that Caught is much better than Runner, Caught than Rescued, etc. Anyways, here’s the review, and since it’s bad author manners to comment on a review defending your writing on Amazon, then I shall do it here! After reading this little story, I found it mind-boggling that it has managed to maintain a three-and-a-half star average. While I am well aware that this book is free and I kept it mind while reading, that is not excuse for poor writing, nor is the author’s age, although most seem to disagree.Granting the author such leeway and praise simply because he is young does not encourage better writing. I believe we all can agree that he could use some serious improvement. His style is choppy and disconnected, the dialogue is awkward and unrealistic, his characterization is next to non-existent, and the plot line is vague at best. If I were to turn in a story like this to my high school teacher, he would flunk me on the spot.Logan, from one sixteen-year-old to another, congratulations on being published, but your writing has a lot of growing to do if you want to be taken seriously. First off, do you see that above “This review is from: Runner (The Runners, Part One) (Kindle Edition)”, there is not a thing saying that this is an Amazon Verified purchase. What that means is that this person didn’t download the book from Amazon. Now, they could’ve downloaded it from somewhere else, but why post the review on Amazon, and not where you downloaded it at? This could be somebody just hatin’ on me because I’m young (which people do), or…I don’t know what. Everything should be taken with a grain of salt. EDIT: I just checked, and the only review that they have written is of Runner, so I’m pretty sure this is fake. After reading this little story, I found it mind-boggling that it has managed to maintain a three-and-a-half star average. While I am well aware that this book is free and I kept it mind while reading, that is not excuse for poor writing, nor is the author’s age, although most seem to disagree. I sort of agree with this. I hate it when people give me more stars than they normally would, just because I’m young. I want to be treated like an adult author, and not given any leeway, just because of my age. I believe we all can agree that he could use some serious improvement. His style is choppy and disconnected, the dialogue is awkward and unrealistic, his characterization is next to non-existent, and the plot line is vague at best. I agree with this too. My writing did need improvement, and I did improve on it. Everything was meant to be like that, because everything was supposed to be mysterious. If I were to turn in a story like this to my high school teacher, he would flunk me on the spot. Is it possible to get flunked on the spot? Pretty sure he’d have to read it first, which I doubt he would stop the whole class to do. Logan, from one sixteen-year-old to another, congratulations on being published, but your writing has a lot of growing to do if you want to be taken seriously. This is where I get a bit defense. First off, thank you. Secondly, everybody’s writing needs more improvement. No writer will ever be perfect. Thirdly, people do take me seriously. If they didn’t, I wouldn’t be in multiple Top 100 lists on Amazon, sold more than 400 copies of a book that most know is going to be free, and have an editor approach me offering to edit The Runners and possibly The Visitors as well. You’re sixteen like me, but I’m the one who’s taken the time to write bestselling stories, and not leave unverified 1-stars reviews, not you. Oh, by the way, I also auditioned for the top acting agents and casting directors in Texas, and I’ve auditioned for THE TOP agents in the Untied States. Okay. So, I kinda got carried away at the end there, but that’s just how I feel. Really, I don’t care about the review, but that last part about being taken seriously kind of got to me. Anywho! I’m going to go re-watch LOST, while my sister watches it for the first time. That’s right, folks. The final installment in The Runners series is now available on Amazon! Just click HERE to get it! It’s not free at the moment, because Amazon takes 2-3 month to make something free after you ask them to. Sorry for the wait, for those of you who aren’t going to buy it until it’s free. It’s only .99, and it’s a couple thousand words longer than Wake, so it’s worth it. Just dropping in to give you a quick update on Eden. RIght now, I am currently writing the scene where Adam and Eve meet up with Brutus. And, well, some pretty crazy stuff is about to go down. However, for some odd reasons, Eden is tough for me to write. I feel like I’ve set the bar pretty high, and it seems hard for me to reach it. Oh well. I’m giving it my best, and that’s all that I can do. 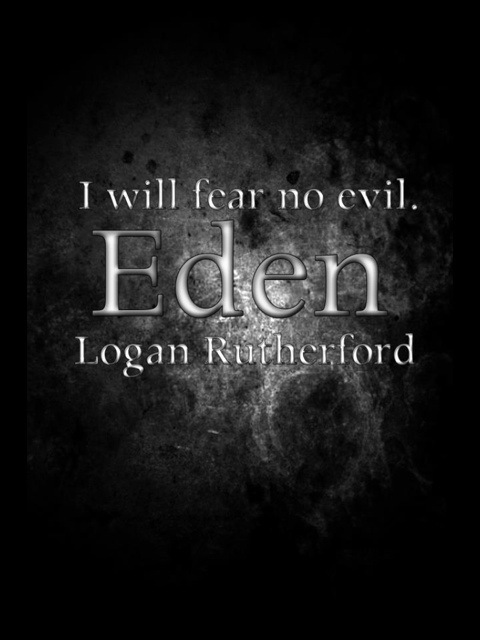 Here’s a blurb for Eden that I cooked up. Note: This blurb is not final. Armed with the knowledge of who he is, Adam must set forth on the task laid before him. He must seek out redemption in the only way possible: Killing Marcus Wright. But when there’s death and betrayal within The Runners, plus Adam’s powers over Eden taking over him uncontrollably, Adam is considering running away – leaving the skeletons in his closet to rot. That’s pretty much all I have! This post was shorter than I expected, but I have to get back to writing, anyways!